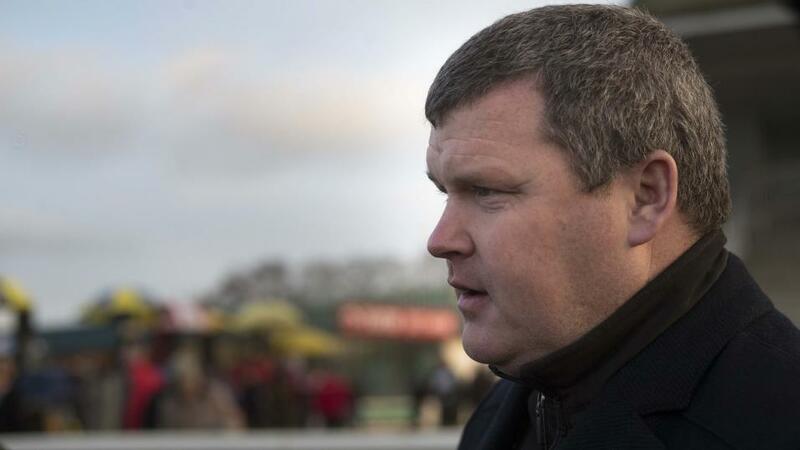 Betfair Ambassador Gordon Elliott has 10 runners in action at Downpatrick on Sunday. He discusses their form and picks his best chance. "He hasn’t been stopping at the end of his races so this stiff finish over an extended two miles should be right up his street and he should take beating." She has run some respectable races over hurdles and I think she will be able to win a race or two over the coming months but on ratings she is likely to find one or two of these too strong. The reasonable ground will suit her and she does have previous course experience which is also a plus. The form she showed at Down Royal over Christmas and at Fairyhouse the following month entitles her to give a good account of herself. He's a grand horse who won his maiden hurdle at this track as well as running a couple of solid races in defeat here last summer. Over the last few months he has produced a series of creditable runs in defeat, the latest of which saw him take second in a decent handicap hurdle at Naas a fortnight ago. His form looks very solid and he's in good heart so I'd like to think that he will go close to winning here. He did really well for us last summer when he won five times and only for a disqualification he would have made it six in a row at one stage. He would have needed his comeback run at Leopardstown earlier this month and the ground turning quite soft that day would have been against him too so I wouldn't read too much into that run. He looks to have come on for that recent and a return to the form he showed earlier in the season would put him into the reckoning here. This horse will switch from maidens to handicaps in an 80-109 rated handicap hurdle. He has shown promise in a couple of his maiden runs and I'm hoping he will be able to make his mark over hurdles at some stage. However, he lacks the handicap experience that most of his rivals have and he's also got to improve on what he has been showing lately so I'm hoping for a solid showing but I think he could be up against it. He's done well on his first two runs for us. I thought he did well to win at Navan at the start of the month and then he ran well at Gowran the following week to finish second. Those runs have seen him go up 12 pounds in the weights but I'd like to think that he could win again and he looks to be lining up with a solid chance. This trip might be on the short side but the stiff finish will suit him well. We got this horse during the summer but it's just taken him a while to get to the track. He seems a grand, straight forward horse and he ran some solid races in defeat in England so hopefully he will be able to make an impression for us over the coming months. He is as fit as I can get him at home but I do feel that he is going to need this run which is his first for a year and he is best watched for the moment. Can he improve on last year's third? He won't find it easy off top weight but he ran well in this race last year when finishing third and I think he is a better horse this time around. His Cork National win in November and his fourth in the Thyestes Chase are strong pieces of form. If he can run to that sort of level, he must have a good chance despite having to give weight all round. He missed Cheltenham last week because of a very minor late hiccup but he's been in good shape at home for the last few days so I'm expecting a good showing from him provided there is an ease in the ground. Unfortunately his season has been a write off so far because of the dry winter. He started off in the Troytown in November when he would have needed the run and he didn't get to run again until the Grand National Trial at Punchestown last month when the ground was too quick for him. He is a much better horse than his last few runs suggest but soft ground is important to him. He hasn't run on the track for us yet but he did run in a point-to-point at Tyrella a couple of months ago when he was second to another horse of ours, Three Kings, who has since shown up well in a handicap hurdle. I'd like to think that he could make an impact off his current rating and he has been in good form since that point-to-point run so hopefully he will give a good account of himself. He is unlucky not to have won a bumper before now and this looks a nice opportunity for him. Each of his four runs this season would probably be good enough to win this race and his last two runs at Navan have been very solid. He hasn't been stopping at the end of his races so this stiff finish over an extended two miles should be right up his street and he should take beating.